Bauwe A, Jurasinski G, Scharnweber T, Schröder C, Lennartz B (2015). Impact of climate change on tree-ring growth of Scots pine, common beech and pedunculate oak in northeastern Germany. iForest 9: 1-11. Tree growth depends, among other factors, largely on the prevailing climatic conditions. Therefore, changes to tree growth patterns are to be expected under climate change. Here, we analyze the tree-ring growth response of three major European tree species to projected future climate across a climatic (mostly precipitation) gradient in northeastern Germany. We used monthly data for temperature, precipitation, and the standardized precipitation evapotranspiration index (SPEI) over multiple time scales (1, 3, 6, 12, and 24 months) to construct models of tree-ring growth for Scots pine (Pinus sylvestris L.) at three pure stands, and for common beech (Fagus sylvatica L.) and pedunculate oak (Quercus robur L.) at three mature mixed stands. The regression models were derived using a two-step approach based on partial least squares regression (PLSR) to extract potentially well explaining variables followed by ordinary least squares regression (OLSR) to consolidate the models to the least number of variables while retaining high explanatory power. The stability of the models was tested through a comprehensive calibration-verification scheme. All models were successfully verified with R²s ranging from 0.21 for the western pine stand to 0.62 for the beech stand in the east. For growth prediction, climate data forecasted until 2100 by the regional climate model WETTREG2010 based on the A1B Intergovernmental Panel on Climate Change (IPCC) emission scenario was used. For beech and oak, growth rates will likely decrease until the end of the 21st century. For pine, modeled growth trends vary and range from a slight growth increase to a weak decrease in growth rates. The climatic gradient across the study area will possibly affect the future growth of oak with larger growth reductions towards the drier east. For beech, site-specific adaptations seem to override the influence of the climatic gradient. We conclude that Scots pine has great potential to remain resilient to projected climate change without any greater impairment, whereas common beech and pedunculate oak will likely face lesser growth under the expected warmer and dryer climate conditions. The results call for an adaptation of forest management to mitigate the negative effects of climate change for beech and oak. What have we learned from 15 years of free-air CO2 enrichment (FACE)? A meta-analytic review of the responses of photosynthesis, canopy properties and plant production to rising CO2. New Phytologist 165: 351-372. Tree-ring growth response of Scots pine (Pinus sylvestris L.) to climate and soil water availability in the lowlands of North-Eastern Germany. Baltic Forestry 19: 212-225. Short-term variations and long-term changes in oak productivity in north-eastern France: the role of climate and atmospheric CO2. Annals of Forest Science 51: 477-492. SPEI: calculation of the standardised precipitation-evapotranspiration index. R package version 1.2, web site. Long-term changes in wood density and radial growth of Quercus petraea Liebl. in northern France since the middle of the nineteenth century. Trees - Structure and Function 14: 398-408. Bundeswaldinventur 2 [National Forest Inventory 2]. Bundesministerium für Ernährung, Landwirtschaft und Verbraucherschutz, Berlin, Germany. Adaptive forest management in central Europe: climate change impacts, strategies and integrative concept. Scandinavian Journal of Forest Research 24: 473-482. Individualistic and time-varying tree-ring growth to climate sensitivity. PLoS One 6: e22813. Methods of dendrochronology: applications in the environmental sciences. Springer Science+Business Media B.V., The Netherlands, pp. 394. A time series analysis approach to tree-ring standardization. University of Arizona, Tucson, OK, USA, pp. 171. Spatial regression methods in dendroclimatology: a review and comparison of two techniques. International Journal of Climatology 14: 379-402. A description of the symptoms of acute oak decline in Britain and a comparative review on causes of similar disorders on oak in Europe. Forestry 87: 535-551. Radial growth of Norway spruce and European beech in relation to weather and altitude. Forstwissenschaftliches Centralblatt 118: 251-270. Growth variations of common beech (Fagus sylvatica L.) under different climatic and environmental conditions in Europe - a dendroecological study. Forest Ecology and Management 173: 63-78. Influence of annual weather on growth of Pedunculate oak in southern Sweden. Annals of Forest Science 65: 512 (1-14). Climate change, impacts and vulnerability in Europe 2012. European Environment Agency Report 12/2012, Copenhagen, Denmark, pp. 253-300. CO2 enrichment in a maturing pine forest: are CO2 exchange and water status in the canopy affected? Plant, Cell and Environment 22: 461-472. Species-specific climate sensitivity of tree growth in Central-West Germany. Trees - Structure and Function 23: 729-739. 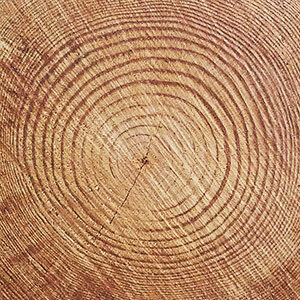 Tree rings and climate. Academic Press, London, UK, pp. 329-340. Response of tree growth to a changing climate in boreal central Canada: a comparison of empirical, process-based, and hybrid modelling approaches. Ecological Modelling 213: 209-228. Tree growth response to climate change at the deciduous-boreal forest ecotone, Ontario, Canada. Canadian Journal of Forest Research 35: 2709-2718. Impact of climate change on water balance of forest sites in Rhineland-Palatinate, Germany. Advances in Geosciences 27: 37-43. Detection of climate signal in dendrochronological data analysis: a comparison of tree-ring standardization methods. Theoretical and Applied Climatology 79: 239-254. Dendrochronological programm library (DPL). Users Manual, web site. Response of forest trees to increased atmospheric CO2. Critical Reviews in Plant Sciences 26: 265-283. Long-term trends in tree-ring width and isotope signatures (δ13C, δ15N) of Fagus sylvatica L. on soils with contrasting water supply. Ecosystems 16: 1413-1428. Climate change 2007: the physical science basis. Contribution of Working Group I to the Fourth Assessment Report of the IPCC (Solomon S, Qin D, Manning M, Chen Z, Marquis M, Averyt KB, Tignor M, Miller HL eds). Cambridge University Press, Cambridge, UK and New York, NY, USA, pp. 18. Rapid climate change-related growth decline at the southern range edge of Fagus sylvatica. Global Change Biology 12: 2163-2174. The climatic interpretation of pan-European signature years in oak ring-width series. Holocene 12: 689-694. Radial growth change of temperate tree species in response to altered regional climate and air quality in the period 1901-2008. Climatic Change 115: 343-363. Adaptation strategies in forest management under the conditions of climate change in Brandenburg. Folia Forestalia Polonica Series A - Forestry 53: 43-51. Radial-growth forecasts for five high-elevation conifer species on Vancouver Island, British Columbia. Forest Ecology and Management 183: 313-325. The impact of atmospheric deposition and climate on forest growth in European monitoring plots: an individual tree growth model. Forest Ecology and Management 258: 1751-1761. Climate-tree-growth relationships of European beech (Fagus sylvatica L.) in the French Permanent Plot Network (RENECOFOR). Trees - Structure and Function 19: 385-401. Regional impacts of climatic change on forests in the state of Brandenburg. Germany. Agricultural and Forest Meteorology 84: 123-135. Twentieth century increase of Scots pine radial growth in NE Spain shows strong climate interactions. Global Change Biology 14: 2868-2881. European oak powdery mildew: impact on trees, effects of environmental factors, and potential effects of climate change. Annals of Forest Science 71: 633-642. The relationship of drought frequency and duration to time scales. In: Proceedings of the “8th Conference on Applied Climatology”. Anaheim (CA, USA) 17-22 Jan 1993. American Meteorological Society, Anaheim, CA, USA, pp. 179-184. Global changes in extreme events: regional and seasonal dimension. Climatic Change 110: 669-696. Impacts of drought at different time scales on forest growth across a wide climatic gradient in north-eastern Spain. Agricultural and Forest Meteorology 151: 1800-1811. Drought-driven growth reduction in old beech (Fagus sylvatica L.) forests of the central Apennines, Italy. Global Change Biology 14: 1265-1281. Growth trends of forests in southern Germany. In: “Growth Trends in European Forests” (Spiecker H, Mielikäinen K, Köhl M, Skovsgaard J eds). Springer, Berlin, Germany, pp. 107-131. Resistance of European tree species to drought stress in mixed versus pure forests: evidence of stress release by inter-specific facilitation. Plant Biology 15: 483-495. Growth trends and relationships with environmental factors for scots pine [Pinus sylvestris (L.)] in Brandenburg. Investigación Agraria: Sistemas y Recursos Forestales 14: 64-78. R: a language and environment for statistical computing. R Foundation for Statistical Computing, Vienna. Bioclimatic model of tree radial growth: application to the French Mediterranean Aleppo pine forests. Trees - Structure and Function 19: 162-176. Climate warming will reduce growth and survival of Scots pine except in the far north. Ecological Letters 11: 588-597. TSAP-Win: time series analysis and presentation for dendrochronology and related applications. Version 0.59 for Microsoft Windows, Rinntech, Heidelberg, Germany. The atmospheric general circulation model ECHAM5 - Part I: Model description, Tech. Rep. 349. Max-Planck-Institut für Meteorologie, Hamburg, Germany, pp. 127. Differential radial growth patterns between beech (Fagus sylvatica L.) and oak (Quercus robur L.) on periodically waterlogged soils. Tree Physiology 33: 425-437. Mapping plant strategy types using remote sensing. Journal of Vegetation Science 23: 395-604. The possible influence of nitrogen and acid deposition on forest growth in Norway. Forest Ecology and Management 192: 241-249. Forecasting the effects of global warming on radial growth of subalpine trees at the upper and lower distribution limits in central Japan. Climatic Change 117: 273-287. An approach toward a rational classification of climate. Geographical Review 38: 55-94. Summer moisture variability across Europe. Journal of Climate 19: 2818-2834. A multiscalar drought index sensitive to global warming. The standardized precipitation evapotranspiration index. Journal of Climate 23: 1696-1718. Diverse responses of forest growth to drought time-scales in the Northern Hemisphere. Global Ecology and Biogeography 23: 1019-1030. Drought response and changing mean sensitivity of European beech close to the dry distribution limit. Trees - Structure and Function 27: 171-181. On the average value of correlated time-series, with applications in dendroclimatology and hydrometeorology. Journal of Climate and Applied Meteorology 23: 201-213. World reference base for soil resources 2006. A framework for international classification, correlation and communication. World Soil Resources Reports No. 103, FAO, Rome, Italy, pp. 128.